So said Fergus Ewing MSP, Cabinet Secretary for Rural Economy, when presenting Scotland’s Finest Woods Awards – and never have truer words been spoken. At first sight, the winners of the Awards look like a disparate bunch – from people working for forest management businesses to committed community woodlands activists and from large estate owners to pupils and teachers in small schools. Yet it is a passion for trees and woodlands that binds them together, with the school’s award highlighting how important it is to stimulate that interest at an early age. 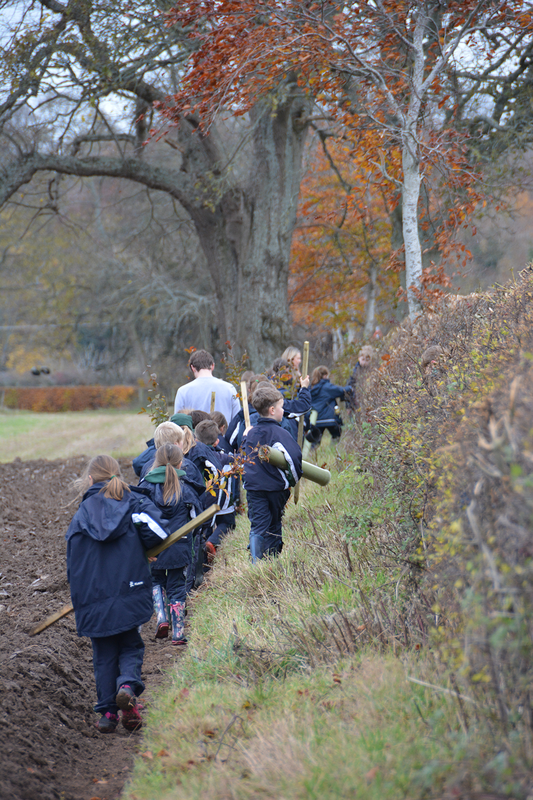 “We are trying to promote a love of the natural environment so children value it and see it as a place to be enjoyed. “We have children aged 2-13 involved in outdoor education. The youngest children visit the local woodland regularly. Later, they all do John Muir Explorer Award. St Mary’s also used its prize money to plant a centenary avenue of trees and is growing oak trees in a project to honour the fallen of World War One. She continued: “We identified a wee space off the school driveway, cleared an area, put up fencing to make it safe and started to create our forest school. We planted willow, and three other kinds of tree, created areas for wildlife, put in bird feeders, made a minibeast area and a campfire space, put in a tyre swing and a teepee and one of the parents built stools from wood donated by a local business. The use of the prize money at both St Mary’s and Gavinburn to support and recognise the older generation is fascinating – and shows how engaging young people in trees and woodlands can bring others along in a shared, multi-generational enterprise. Why does this happen? Because people love trees – and when they get to know more about trees and woods, they love them even more.